Damian started working at Ferndale in 2006. Damian was initially employed as a Production Operator, a role that he had for 3 years. He then moved into various roles throughout the organisation, including time as a Mint Press Operator, Maintenance Assistant, and a Production Leading hand. Ferndale recognized that Damian had become one of the most skilled and versatile employees within the organisation, and in 2016, Damian was given the opportunity to step into his first management role, as Production Planner. 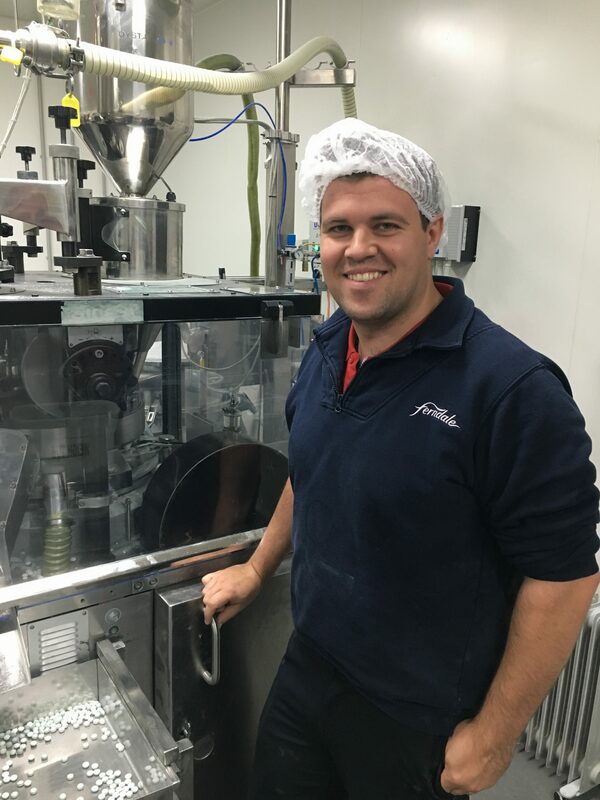 Being in varied roles for over 10 years has given Damian a very diverse skill set, and having such a solid understanding of Ferndale’s production facility, he has been able to continually improve efficiency, stock management and best in class production standards. Damian is also responsible for the R+D on many new products. Outside of work, Damian enjoys spending time with his wife Meg and 4 children, Julius, Freya, Reuben and Landon. He also enjoys renovations and gaming.